The coming-on Joey Logano won for the first time at Watkins Glen International today (and in the final lap, no less), one of 20 different NASCAR Sprint Cup drivers to take down the road course since the stock-car league began racing there in 1957. Actually, Watkins Glen, in western New York State, was part of the top tour in just ’57, 1964 and 1965 before becoming enshrined in NASCAR’s annual schedule in 1986. The Glen is currently one of only two road courses run during the season (Sonoma Raceway in California is the other). These two tracks stand in stark contrast to the majority of NASCAR tracks on the schedule, which are run on ovals or ellipses. Road courses have several turns around, requiring drivers to brake and maneuver more frequently within a single lap. They are more Formula 1 than NASCAR. It’s a specialist skill, really. Some racers have it, and some of the best don’t (Jimmie Johnson, Dale Earnhardt, Dale Earnhardt, Jr. and Richard Petty for some prime examples). 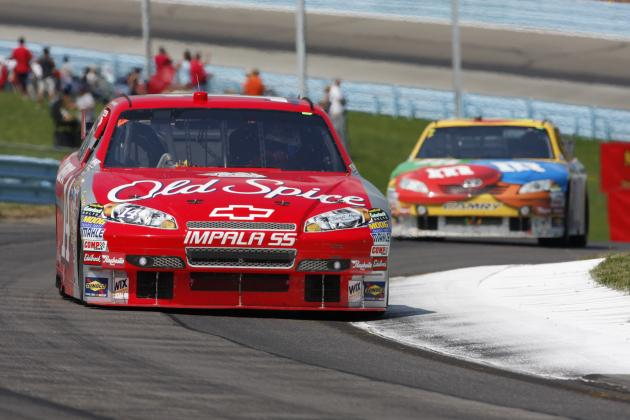 Tony Stewart and Jeff Gordon have it, and also the most wins at the Glen with five and four, respectively. Gordon won three times in a row, as did Mark Martin in third. Another four drivers have won it twice, making just seven multiple winners over 33 races. We have just entered Formula One‘s 66th season. This truly global pro sport, perhaps the most global, had its inaugural season in 1950. 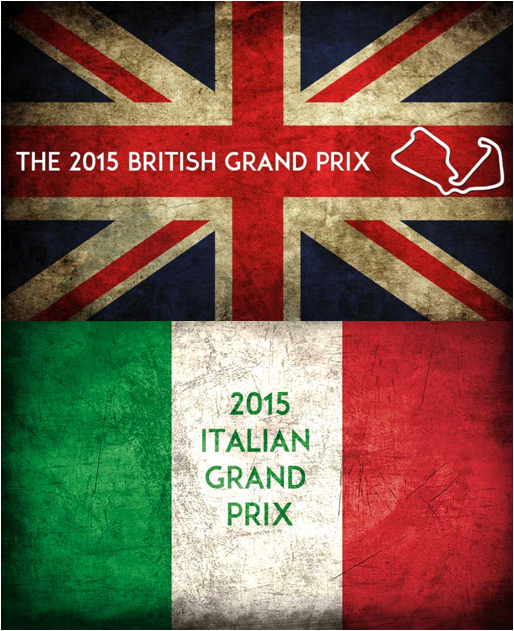 Every race during the season, in pursuit of the World Championship, is called a Grand Prix. In 2015, there will be 19 races, or 19 Grand Prix (or Grands Prix). Only two have been raced every single season since the beginning (65 so far) – and, by the way, will be raced again this season for a 66th straight run: the British Grand Prix and Italian Grand Prix. The German Grand Prix and Monaco Grand Prix are the two other races claiming at least 60 runs, but there will be no German race in 2015. All together there have been 41 different Grand Prix races in F1 history, across 31 different countries. Here are the top 20 hosts.